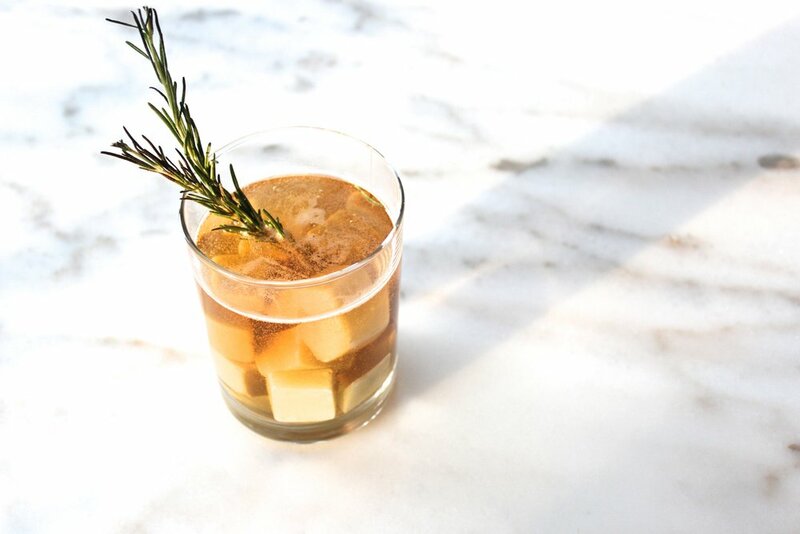 Let's start by making the rosemary simple syrup. Simple syrup itself is super simple to make. You just take equal parts sugar and water and boil in a saucepan until the sugar is dissolved. For this recipe, once the sugar is dissolved, mix in three sprigs of fresh rosemary. I like to give the sprigs a little mash to make sure they really coat the mixture. Put the syrup to the side and let it cool.